Honolulu is the capital and largest city of the U.S.State of Hawaii. It is the county seat of the city, as well as the main gateway to Hawaii and a major portal into the United States. The name of the city comes from the Hawaiian language and means ’’sheltered harbor’’ or ‘’calm port’’. The city has a population of 359,870 and it makes the most populated Oceanian city outside Australasia. Honolulu has been the capital of the Hawaiian Islands since 1845. The city gained historical recognition following the attack on Pearl Harbor by Japan near the city on December 7, 1941. Wondering about the climate of the city? The climate is hot tropical with average high temperatures of 80-90°F and with the low average of 65-75°F throughout the year. 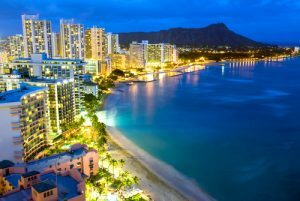 Now let’s look at some interesting facts about Honolulu for the visitors. Did you know that Iolani Palace in Honolulu, is the only royal palace in the United States? Iolani Palace was illuminated by Electric lights four years before the White House in Washington D.C.
By the way, Honolulu is the birthplace for President Barack Obama. Check out some sightseeing in Honolulu. Among places to visit, you should definitely consider the revolving restaurant in Honolulu called La Ronde. It was built in 1961 and designed by John Graham. Honolulu is also a great place for surfing. The Hawaiian Word ‘’Heenalu’’ means surfing. Besides surfers, the city has a lot to offer to art lovers. The Bishop Museum is the largest of Honolulu’s museums. Hawaii Auto Transportation offers the highest level of quality services at affordable prices. We offer car shipping for both economical shipping and expedited vehicle shipping. We do shipping throughout the US. 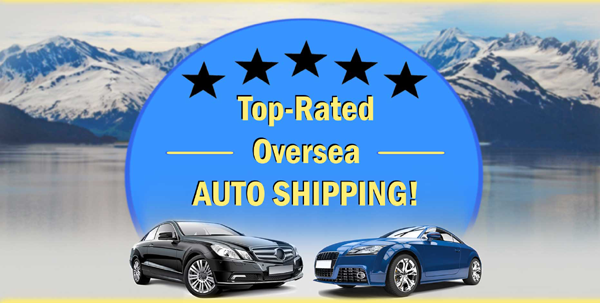 Hawaii Auto Transportation provides high-quality overseas shipping services like Container Car Shipping, Oversize Vehicle Shipping, Crate Shipping and, also, we do RORO (Roll on/Roll off)service since 2006. You need more information about the service. Let’s have a look at Container Car Shipping? The big Lego-like metal containers of 900’ to 1300’long allow shipping all kinds of sedans, SUVs, motorcycles, pickup trucks, RVs etc. 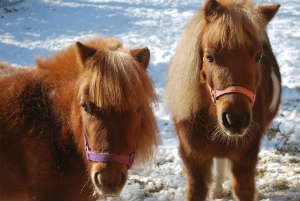 We are only limited to oversized vehicles as farm machinery, excavators etc. that exceed the given dimensions. For shipping a motorcycle, you should consider a Crate Shipping method. Safety of your vehicle: Doing container shipping, we block your vehicle, brace and lash inside the container. Thus your container is protected from the movements during the shipping. More capacity –One of the benefits of Container shipping is that it can include 1+vehicle. Call us any time to arrange hustle-free shipping. Don’t hesitate to contact us at (808)-518-6000.